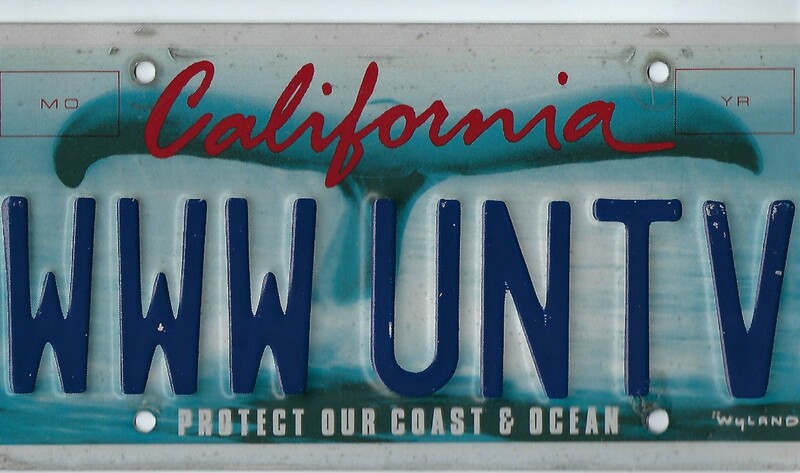 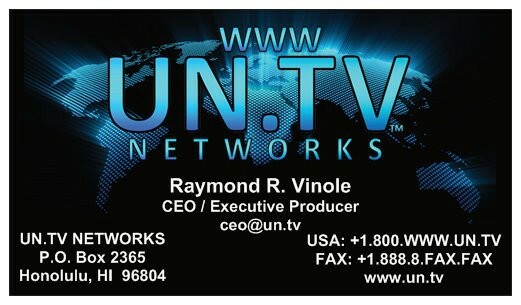 12/11/2010 I SENT MY FIRST PROPOSAL OF THE UN.TV DOMAIN NAME TO THE UNITED NATIONS (UN) ATTORNEY, JAY POZENEL, & HE TOLD ME OVER THE PHONE THAT HE WOULD BE THE LIAISON BETWEEN THE UNITED NATIONS UNTV NETWORK & ME AFTER STATING THAT THE PURCHASE PRICE RANGE FOR THE UN.TV DOMAIN NAME WAS SOMETHING THEY COULD WORK WITH. 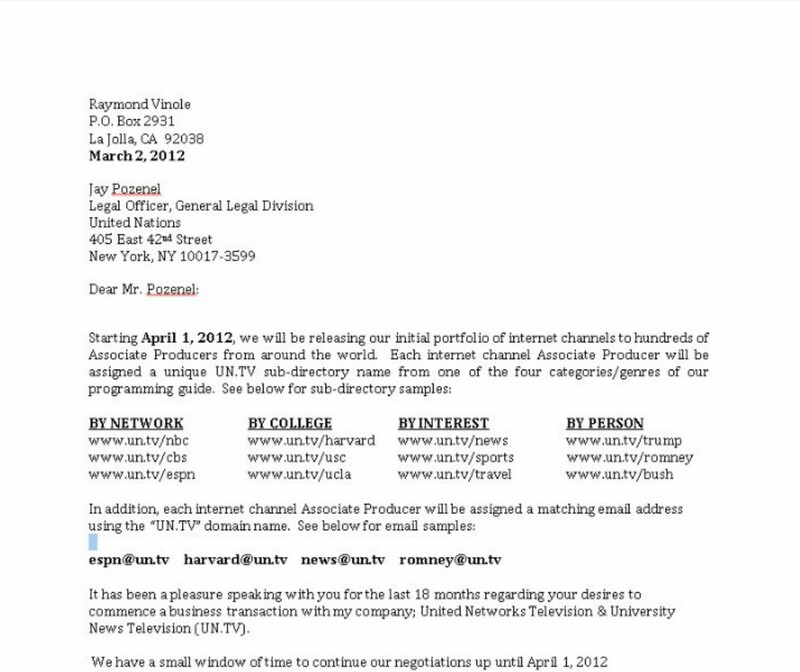 AFTER OVER A YEAR OF STEADY NEGOTIATIONS, I SENT THE UNITED NATIONS (UN) ATTORNEY, JAY POZENEL, AN UPDATED PROPOSAL ON 03/02/2012. 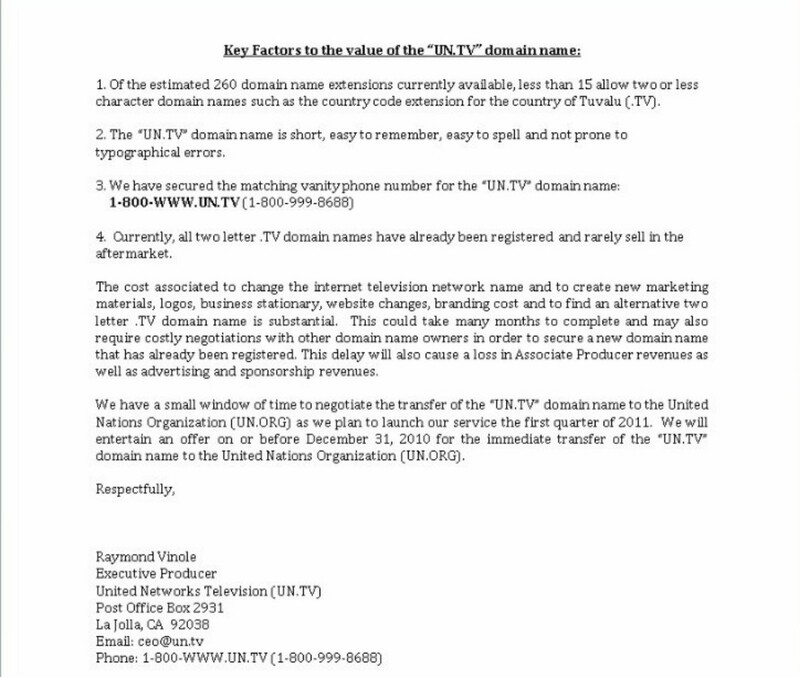 A FEW WEEKS LATER OR SO, I CALLED JAY POZENEL TO ASK HIM ONCE AGAIN WHAT WAS THE HOLD UP REGARDING COMING UP WITH A FINAL DECISION REGARDING THE SALE OF THE UN.TV DOMAIN NAME TO THE UNITED NATIONS (UN). 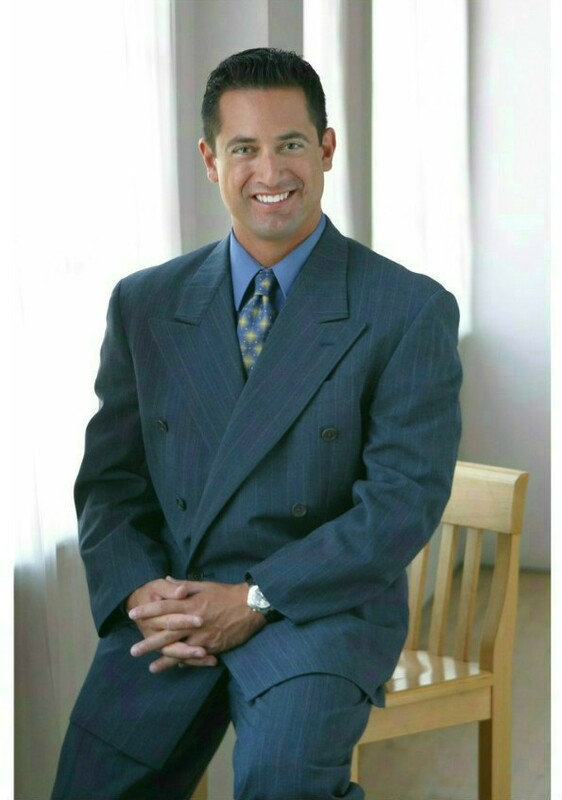 JAY POZENEL THEN SAID HE WAS DISCUSSING IT WITH A MEMBER STATE. 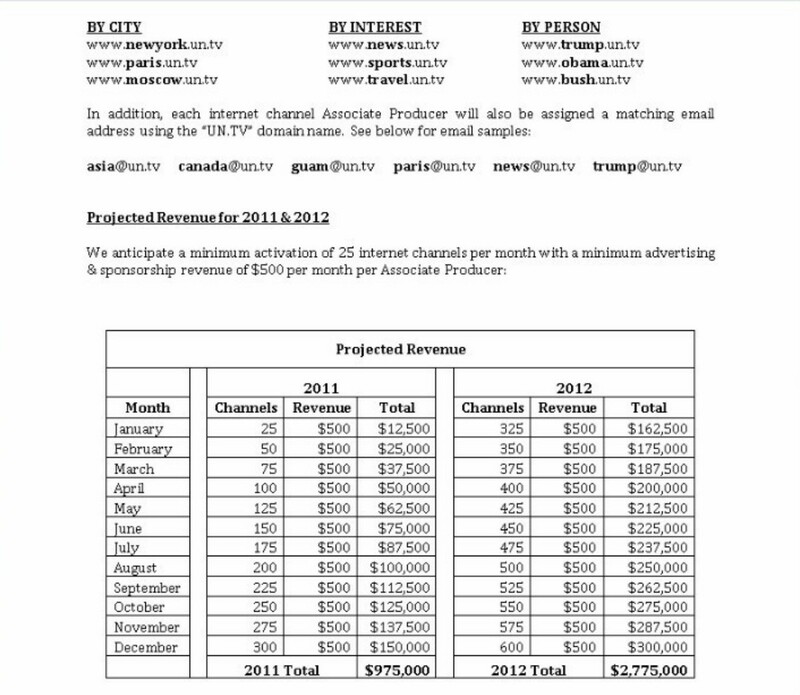 THAN I ASKED JAY POZENEL "ABOUT WHAT", & JAY POZENEL SAID "REGISTRATION". 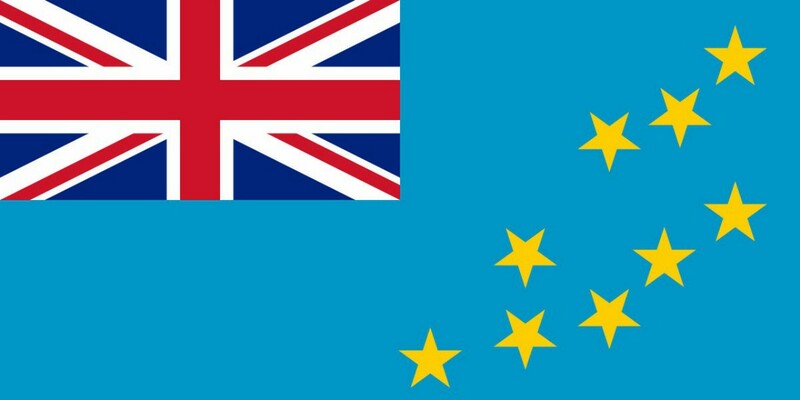 I AM ASSUMING THE MEMBER STATE THE UNITED NATIONS (UN) ATTORNEY, JAY POZENEL, WAS SPEAKING WITH REGARDING REGISTRATION IS TUVALU = (.TV) & IN WHICH JAY POZENEL HAD NO AUTHORIZATION FROM ME TO DO SO. 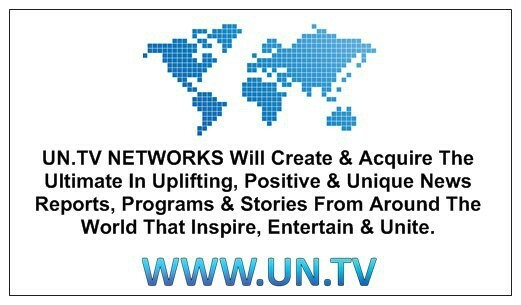 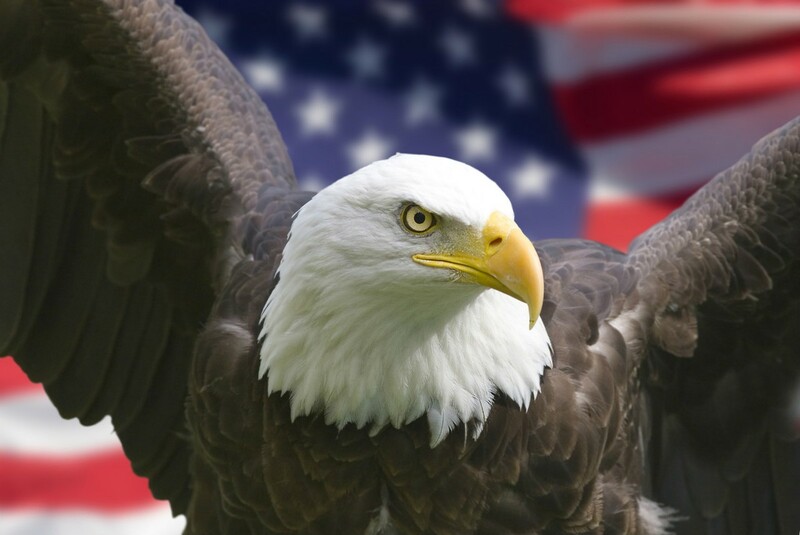 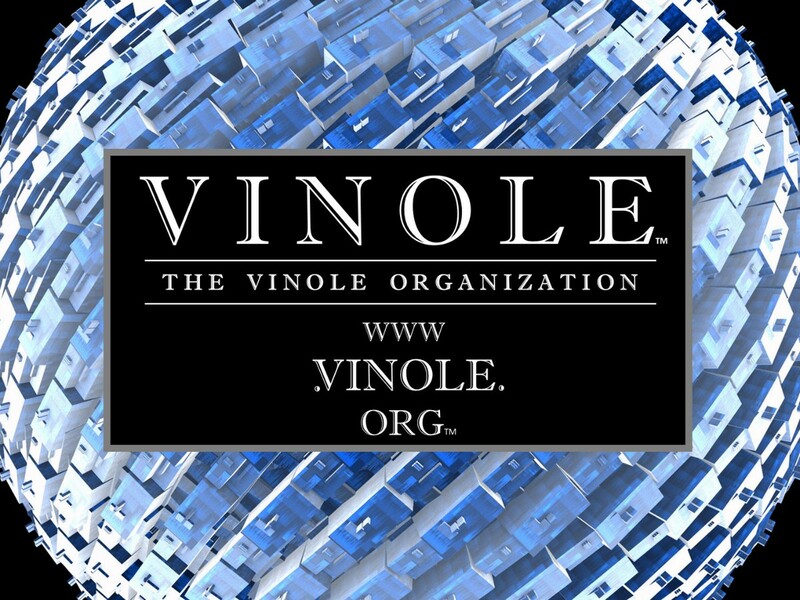 I THAN SENT TO JAY POZENEL & HIS STAFF OF UNITED NATIONS (UN) ATTORNEYS AN EMAIL IN WHICH I STATED I WAS CANCELING NEGOTIATIONS WITH THE UNITED NATIONS (UN) REGARDING THE SALE OF THE UN.TV DOMAIN NAME BECAUSE I HAD BEEN ACTING IN GOOD FAITH TO COMMENCE A SALE & THAT I WOULD NOW KEEP MOVING FORWARD WITH MY OWN UN.TV NETWORK DEVELOPMENT PLANS. 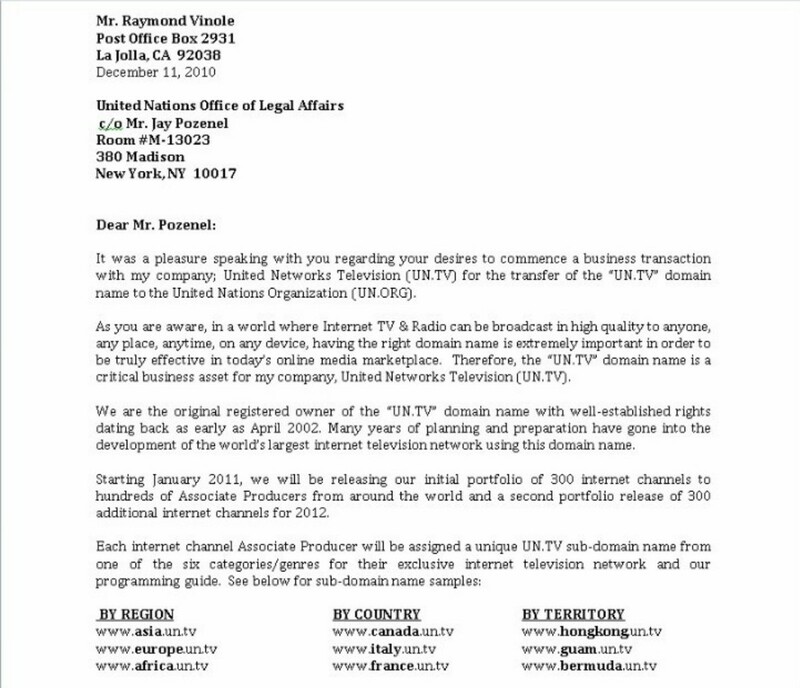 UNITED NATIONS (UN) ATTORNEY, JAY POZENEL, HAD NO BUSINESS DISCUSSING MY BUSINESS PROPOSAL WITH A MEMBER STATE (ANOTHER COUNTRY) AFTER HE AGREED & CONFIRMED TO ME OVER THE PHONE THEIR INTENTIONS TO MOVE FORWARD WITH MY BUSINESS PROPOSAL OF THE SALE OF THE UN.TV DOMAIN NAME & JAY POZENEL NEVER MADE ANY LEGAL THREATS REGARDING MY UN.TV DOMAIN NAME PROPOSAL. 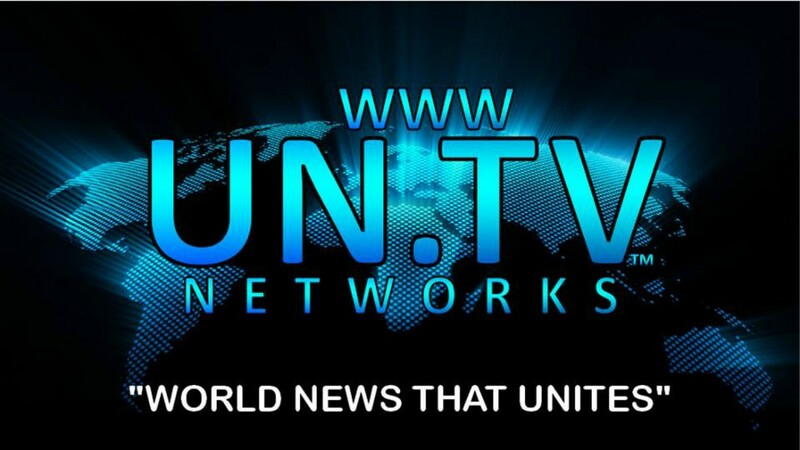 IN MY OPINION, SINCE JAY POZENEL WAS DISCUSSING MY UN.TV DOMAIN NAME BUSINESS PROPOSAL WITH ANOTHER MEMBER STATE REGARDING REGISTRATION WAS A CLEAR INDICATION TO ME THAT THE UNITED NATIONS (UN) PLANS WAS TO JUST TAKE MY UN.TV DOMAIN NAME FROM ME WITHOUT EVER PAYING FOR IT.